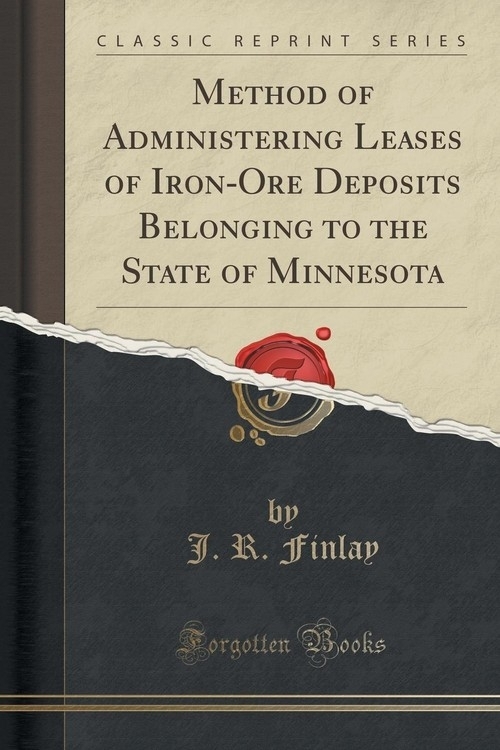 Opis: Method of Administering Leases of Iron-Ore Deposits Belonging to the State of Minnesota (Classic Reprint) - Finlay J. R.
Method of Administering Leases of Iron-Ore Deposits Belonging to the State of Minnesota was written by J. R. Finlay in 1919. This is a 42 page book, containing 15323 words. Search Inside is enabled for this title. Szczegóły: Method of Administering Leases of Iron-Ore Deposits Belonging to the State of Minnesota (Classic Reprint) - Finlay J. R.
Recenzje: Method of Administering Leases of Iron-Ore Deposits Belonging to the State of Minnesota (Classic Reprint) - Finlay J. R.